Malaysia, in South East Asia, is a beautiful melting pot of cultures, religions, and cuisines. With some of the most amazing scenery in the world, including some stunning beaches, incredible rainforests and bustling cities, it has something for everyone and is a country well worth visiting that many people would love to visit. 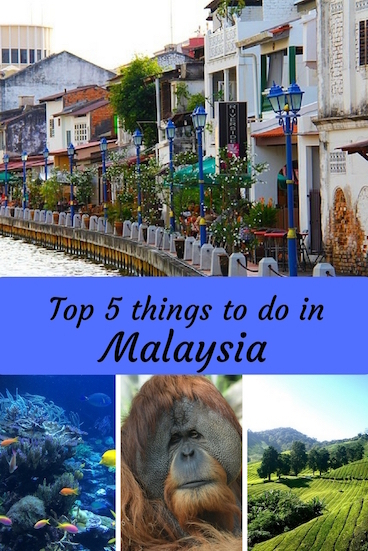 This is my post about top things to do in Malaysia. 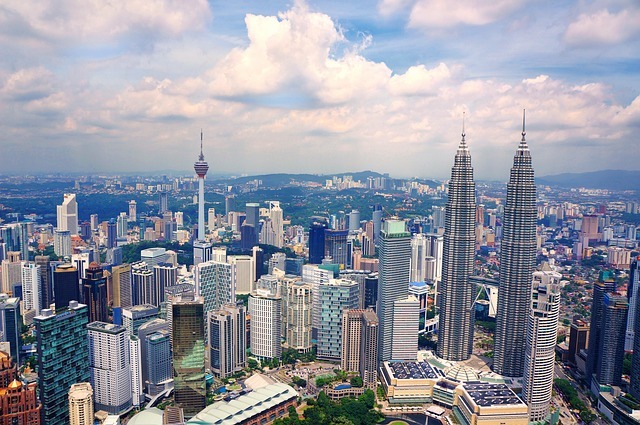 Kuala Lumpur, the capital of Malaysia has a population of 1.73 million. Packed with historic monuments, massive shopping malls, steel skyscrapers and bustling street markets, its a vibrant, colourful, multi-cultural community. Talking of street markets, for an authentic street food experience visit Jalan Alor where hawkers fire up their woks and taste char kuey teow, grilled chicken wings, satay, chilli crabs, Assam laksa and more. Whilst here visit the Petronas Towers, the tallest twin towers in the world to see Kuala Lumpur from above. The main attraction is the skywalk that connects the towers together as well as the wonderful view. Shopping lovers will enjoy visiting the Suria KLCC at the base of the towers, a 140,000 m2 luxury retail centre, whilst the park surrounding the area has jogging and walking paths, a children's playground, wading pools and a fountain with light show. 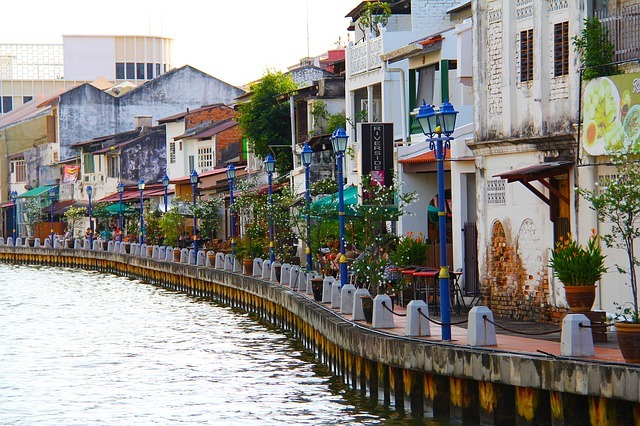 Malacca or Melaka is a Malaysian state on the Malay Peninsula's southwest coast. The capital, Malacca City, has a colonial past seen in its preserved town centre, the site of 16th-century, Portuguese St. Paul’s Church. Easy to get around on foot, it has many places that make it unique. Jonker Street or Jonker Walk as it's otherwise known is a popular street in the Chinatown district of Malacca with a busy nighttime weekend market. Flanked on both sides by historic 17th-century houses it has a mix of shops selling antiques, handicrafts and souvenirs as well as many restaurants. Other attractions in Malacca include A'Famosa Fort, built in the 16th century, one of the oldest surviving European architectural remains in Asia, as well as the Malacca Butterfly and Reptile Sanctuary. Malaysia's largest hillside resort, Cameron Highland's has the perfect weather for cultivating a variety of produce, Tea, flowers, cacti, vegetables and strawberries are all successfully grown in the cooler hillside area, a complete contrast from the hustle and bustle of Kuala Lumpur. 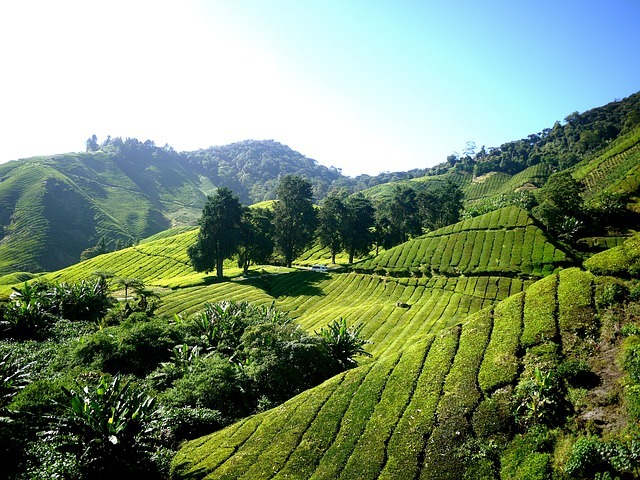 The tea plantations allow you to learn about the history of tea, witness tea being picked and buy tea, as well as sit and try a variety of tea in a tea house overlooking the lush green landscape. Other highlights include hiking and nature watching through forests and the Mossy Forest boardwalk as well as visiting Sam Poh Tong, a Chinese Buddist temple with golden warrior statues. Malaysia has some wonderful clear waters and soft sand beaches. Tioman Island is hailed as one of the world's best beach getaways whilst at the Perhentian Islands, the beaches are totally unspoilt and the water perfect to learn scuba diving. In fact, the snorkelling and scuba diving is excellent in Malaysia. At Redang Island, you can go diving in World War II historic shipwreck sites and in a black coral garden. In Tunku Abdul Rahman Marine Park, Sabah, the park’s relatively shallow waters are filled with an abundance of corals and aquatic species – perfect for snorkelling and diving for beginners. Whilst Jacques Cousteau declared Sipadan, Sabah to be an “untouched piece of art”, and it is well known to be one of the most beautiful diving spots in the world. The Kabili-Sepilok Nature Reserve is home to an interesting and diverse array of wildlife and vegetation. There are several nature trails that lead through the forest, taking you from tropical highland forest to lowland mangrove swamps. The reserve is also home to the world-famous Sepilok Orangutan Rehabilitation Centre, where you get to see this endearing species up close and learn more about them. 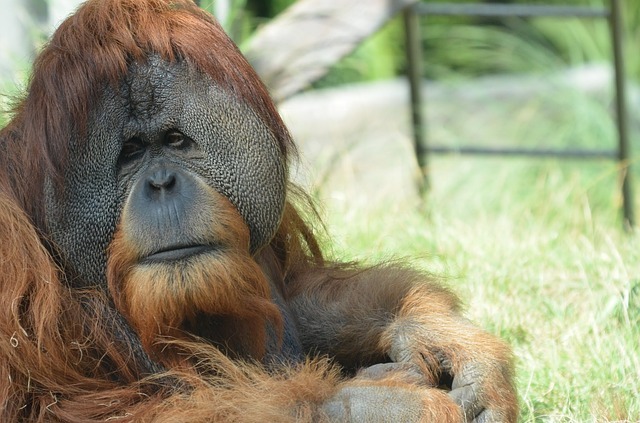 The Sepilok Orangutan Rehabilitation Centre was founded in 1964 to rehabilitate orphan orangutans, and the facility provides medical care for orphaned and confiscated orangutans as well as dozens of other wildlife species. Sepilok is considered by the Wildlife Department to be a useful educational tool with which to educate both the locals and visitors alike, but they are adamant that the education must not interfere with the rehabilitation process. Other things to do in the area include the Labuk Bay Proboscis Monkey Sanctuary and the Rainforest Discovery Centre where you can learn more about the rainforest and its conservation efforts. I hope you enjoyed my top 5 things to do in Malaysia. I have only touched on my top things to do as it's a country of vibrancy, nature, amazing sites and once in a lifetime experiences. If you want to visit Malaysia check out this easy way to find AirAsia flights and for some of the cheapest flights online try Traveloka. Also check out Kelly's post on what you need to pack for your next trip to Malaysia. Tell me, would you like to visit Malaysia? Have you been to South East Asia? I would love to travel more and the idea of sitting in a tea field having a refreshing drink and watching it grow and be picked sounds very cool indeed. 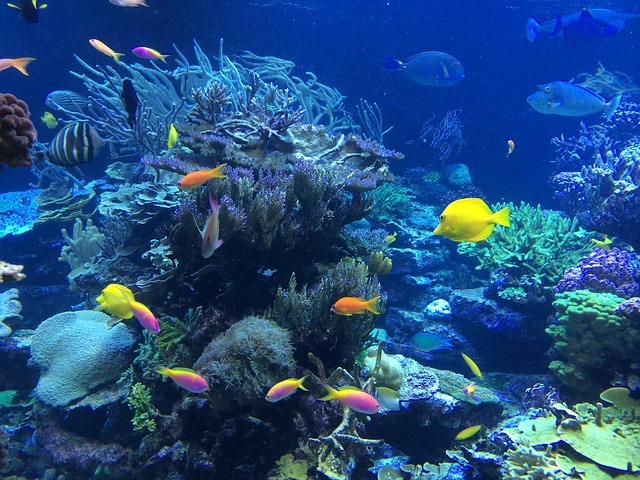 The water is so clear, so many colourful fish to see. What an experience for her! I've not yet had the experience of visiting South East Asia, but I would love to one day. So many new things to explore! I'd love to try the food too. The food is so amazing Elizabeth. I wouldn't have know any of these places existed if it wasn't for this article. Thank you for sharing. It is so vibrant and interesting Kaz. I hope you get the chance to go one day.